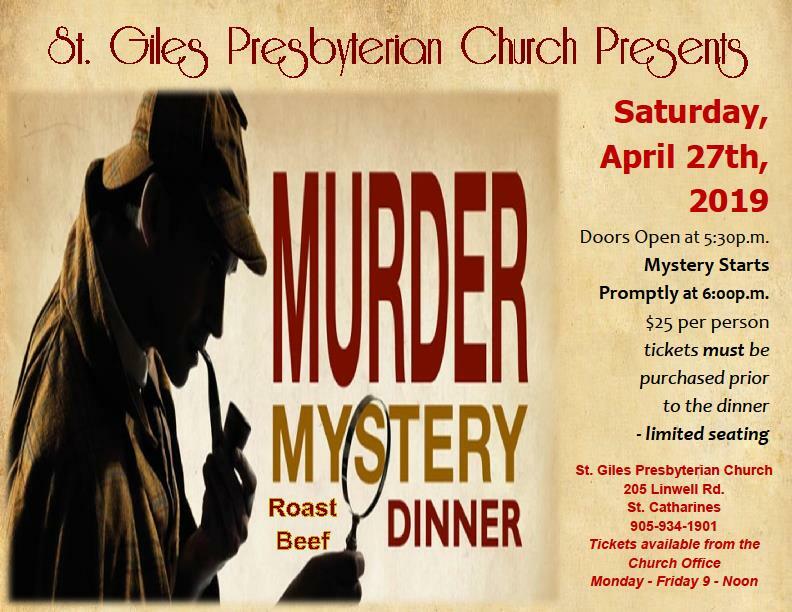 St. Giles Presbyterian Church presents a Murder Mystery & Roast Beef Dinner on Sat. 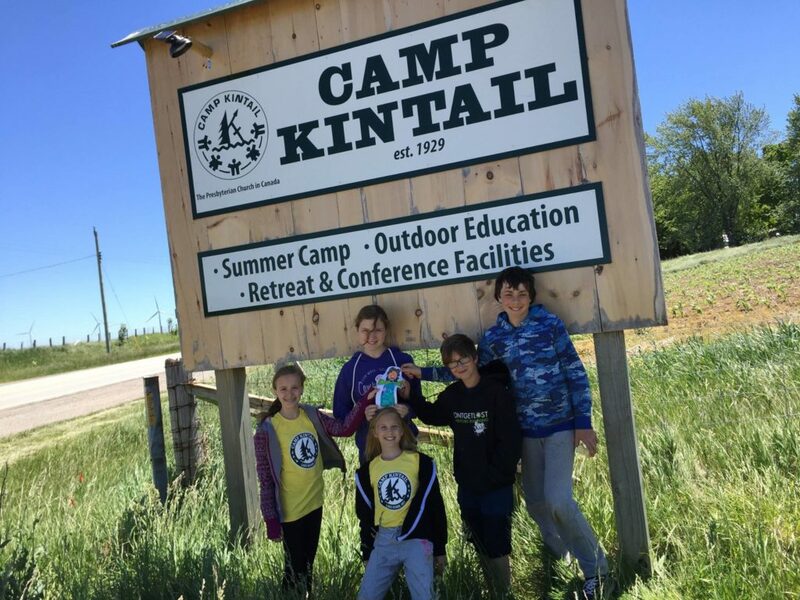 April 27, 2019. Come out and prepare to be entertained! Doors open at 5:30 pm. Mystery starts promptly at 6:00 pm. 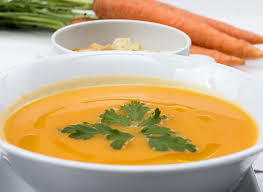 Roast beef, gravy, Pea Soup, mashed potatoes, vegetables, salad, cake, tea & coffee. $25 a person. Tickets must be purchased prior to the dinner – limited seating. Tickets available at the church office Monday to Friday from 9 am to 12 noon. Contact 905-934-1901 or stgiles1954@gmail.com for more information. Tickets may also be purchased using the Donate option on our website. THANKS EVERYONE FOR YOUR SUPPORT! WE ARE NOW SOLD OUT. FOR THOSE OF YOU WHO BOUGHT TICKETS- WE LOOK FORWARD TO SEEING YOU ON APRIL 27TH.